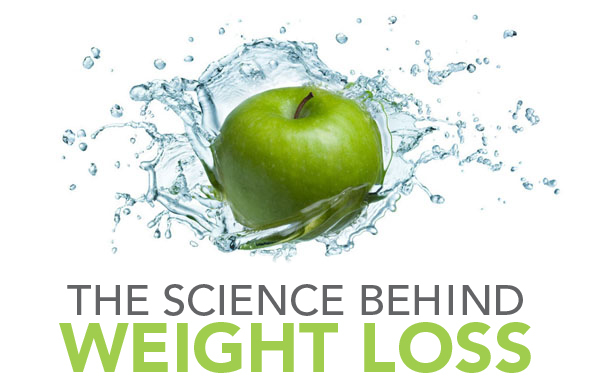 The science behind losing weight. There comes a phase in all our lives when we start gaining weight. Be it because of the never ending streaks of gulping down junk food, or the plight of sitting down at a chair all day at work without having to move a single muscle, our soaring weight hits us like a tsunami. During the initial stages, when we first notice our increasing weight, we often tend to be in denial and claim things like, “I’ve got it under control. This is nothing but a little baby fat. I could drop it in a week if I wanted to.” But I think we can agree that it’s never the case. Losing weight may seem like a daunting task at first, but once you get the hang of it, once you understand the science behind it, it’ll come to you as easy as baking bread. Many are under the impression that if you want to lose weight, you need to starve yourself daily or spend countless hours at the gym. Let me assure you, that is not the case. Dieting and gyming are not the prerequisites to losing weight. Not only do you start resenting not being able to eat what you love, but once you give up, the relapse is catastrophic. You end up eating a lot more than you used to. So, how do you lose weight? Let me reveal the science, that many are oblivious to. It’s all about manipulating your caloric intake according to your goals i.e whether you want to lose weight or gain weight. The food we eat has a set number of calories. An apple that weighs roughly around 100g has 52 calories. On the other hand, a slice of pizza weighing the same has 285 calories. An average person with little to normal physical activity requires a daily caloric intake of 2000 calories for her/his body to function properly. Most of us have a similar caloric intake requirement. But it may vary from person to person depending on weight, height and body size. Let’s just say that you need 2000 calories a day. If you consume the said number of calories, you’ll neither gain weight nor lose weight. If you eat well over 2000 calories, you’ll be in a caloric surplus and you’ll end up gaining weight. However, if you eat less than 2000 calories a day, you’ll be in a caloric deficit and you’ll drop weight. It won’t happen overnight, but if you maintain a caloric deficit for a month or so, you’ll notice the changes. But, being in a caloric deficit does not mean that you starve yourself. 5 apples have 260 calories, whereas a single slice of pizza has 285. We both know that no one suffices after eating a single slice of pizza. If you eat 3 slices, you’re consuming a massive 855 calories from one meal. By the end of the day, you’ll have consumed way more than 2000 calories. That is why people don’t lose weight. Thus, you need to put a hold on junk food, and fried food and shift to whole foods, vegetables and fruits, chicken, eggs, fish, lentils etc. Also, inorder to lose weight, you need to maintain a caloric deficit of around 300-400 calories daily. This is the ideal range for losing weight without depriving your body of its needs. Maintaining a caloric deficit is just a single aspect of the losing weight, the second pillar is working out. When you work out, you burn calories. Let’s say you consumed 1600 calories and you’re done for the day, but you feel hungry so you eat something and bring up your caloric intake to 2100. Now, you need to burn a few calories inorder to be in caloric deficit. So, you burn 300 calories in the gym or while doing any sort of physical activity like going for a run, or skipping. Now, you’re at 1800 calories, which means that you managed a caloric deficit of 200 calories that day. GREAT!!! Most people have a daily caloric intake of 4000-5000 calories eating everything from fried food to junk food to soft drinks. They are oblivious to it. You need to be aware of what you are putting into your body. Thus, maintaining a caloric deficit and then engaging in any physical activity that helps you burn those extra calories is the crux of it all. A 3500 caloric deficit over a period of 2-3 weeks will help you lose roughly around a pound of weight. You need to be patient and consistent. If you want to track your calories, WHICH YOU SHOULD, there are a lot of free apps on both the Appstore and the google play store, but the one I’d recommend is My Fitness Pal. I found it to be the most user-friendly and easy to use. It’s used by everyone in the fitness industry and it’s free. You just enter the food you consumed and you’ll know what it amounts to as your caloric intake. So, fire away. Now that you know the science behind losing weight, be patient, consistent and conquer your demons.